Monday, August 27, 2018 - This randy guy was humiliated badly by his girlfriend after she caught him shamelessly salivating on a well endowed lady. 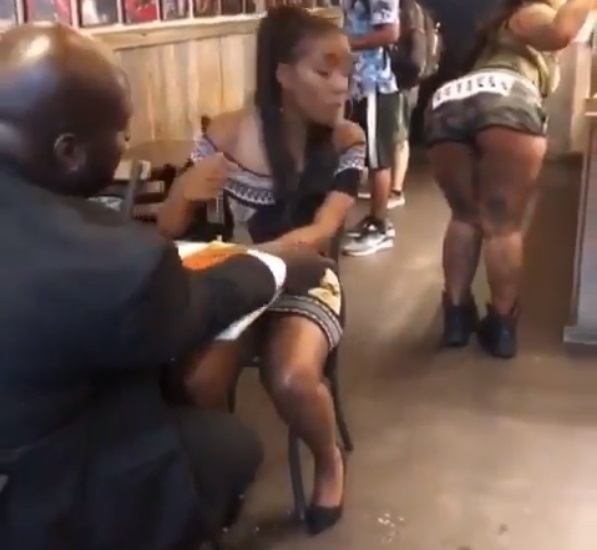 The moment the guy sees the lady with a big derriere, his mind went on trip. He could barely string two words together and when his girlfriend noticed what was happening, she went berserk. The poor guy tried to defend himself that he was admiring the lady’s boots but his girlfriend could not take it. While this looks like a skit, it still shows how some men lose their mind at the sight of well endowed women.